Debuting in 2003, Girl in Argentine Landscape was originally mounted as a part of Miles from Myself, an evening of solo shows directed by Rich Embardo at Hollywood’s National Comedy Theatre. 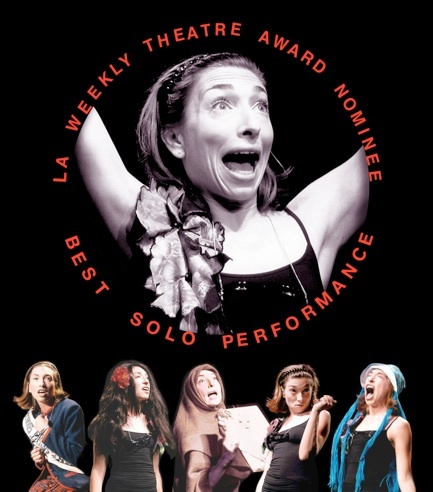 There it received critical acclaim (LA Weekly, “Pick of the Week”) and earned Naomi an LA Weekly Theatre Award nomination for best solo performance. She subsequently toured with the show to Chicago’s Single File Festival (Anthenaeum Theatre), the Los Angeles Women’s Theatre Festival (Barnsdall Gallery Theatre), and screened a subtitled video-version on the big screen in Argentina. Girl… was most recently reprised at the 2012 New York International Fringe Festival.